Meniscus. Curved surface (meniscus) of 1M nickel sulfate (NiSO4) solution in a graduated cylinder. 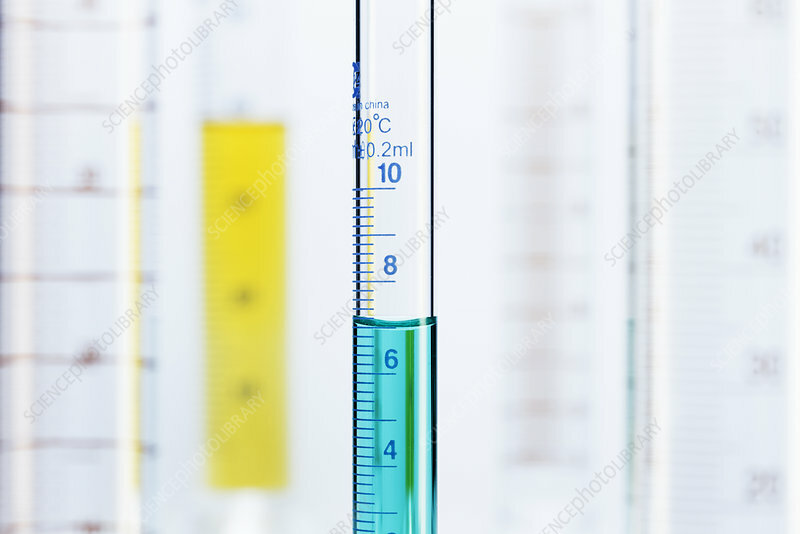 The volume of liquid is measured by reading the scale at the bottom of the meniscus. Here the reading is 7.0 mL.